And others who link to me. There is no course but recourse when one is a Time Traveler. For those who are just entering life with a right brain instead of a left brain, there are many parts of life and being that may not make a lot of sense causing confusion. Part of this confusion is because of what we are taught to believe as education in the world of academics in school. One may study the important subjects in order to have what the world once called the basics as reading, writing, and arithmetic. The needs of a human being in education has changed and those who once had a level of education equal to what is termed a PhD. will need some updating. As a matter of fact, life experiences can mean more than what was once termed a sheep skin. Many old terms of the last century are not known by university graduates of 2009. This is the twenty first century and the age of information and communication at a world level via computers. There is so much information that once can access at their fingertips that once a child of the age of twelve entering puberty when they think they know better than adults what is good for them probably will know better than their parents what is good for them. This is how much the world has changed. Those of us who are not attending a college, university, or education on the Internet may want too. This is the time on earth of revealing the truth about all that once was held as fact in arts and sciences. There are many books that were written in academia that are not only outdated and outmoded but by the time they are approved as texts for schools the information is already outdated. This is because new information is being discovered and coming into reality faster than can be realized and utilized on earth. Time Travel is recognized as a reality now in this world and specially among those with alien like qualities. The alien like qualities will be in a series of time travel articles we will create in space to explain the future and the past. We will obtain some answers to our questions about life in general and how we can travel in space. First, we have to educate the general public on what has been going on in space and on earth and how the information that was once kept as secret will now become transparent during the disclosure portion of the advancement of information. We will need time and patience. All in good time will others know what only some know. There was once a rift in space time that was opened for a forty year period when a wormhole was utilized in space. This wormhole was opened prior to the knowledge that such a word or thought existed in the minds of beings who lived on earth. The time travel that we now can relate too because of powerful beings that are of another place in space are those that some now refer to as the guardians. There are tales in certain niche social networks that speak of time travel in more ways than one as a reality. This statement can be threaded by doing one’s own research on the many articles and now videos on You Tube and on UFOstream.com. Being that I have had many life experiences in more ways than one that I am now presently living, there are things I know that can be compared to a remote viewer in some instances and as a reincarnate avatar being in other circles or niche networks. Time Travel is not a joking matter any longer since we can compare this to virtual reality and also wormhole travel which is the next phase of our reality on earth. The New Media is not only about the Internet and new technology it is about the new way we commit ourselves to learning the social behavior of our species in time. We are modifying our way of thinking in the main stream new media to center around the present and the future as we also examine our ancient past history. This will all be a part of the present future, and future perfect tense in the English language of which we will use as the universal language on this planet for time travelers. There are many languages on this planet and all will be used and recognized but many are being phased out with one world language in demand. Time travel will become a part of reality and virtual reality with the introduction in our fun games that children now play using computers, Xbox, Nintendo Wii, the Cube, and future gaming to hold our interest in coming years 2010 and beyond. Time Travel will become a way of all who think about combining the knowledge and history of the past with what they presently hold in check in their small individual units that we refer to as a brain and mind. The future can be altered based on a combination of what we know about our past while pursuing the present and leaning toward focus on the future. We once only taught our children in schools the left brain logic as what was needed to survive in the world specially in a cosmopolitan international city. Now, since the computer age and business and social networking came into being, there is a whole new reality that exist inside the Internet that some call a virtual reality mix of energy. Just as we use television and movies to escape our reality, we are now using gaming, and the Internet to escape our present and our past. We have learned to become more than ourselves in emails, Ims, and chat rooms on the Internet. The Internet Highway is becoming clouded and confusing with beings who are actually truthful about who they are in three dimensional world when off the Internet. But, there are also those beings that enjoy being someone other than themselves and make up complete fictional personas as their Internet character and personality. This way of being someone other than one’s own self on the Internet has become a way to grow and expand one’s own consciousness and behavior patterns. The fact that there are some who are simply being truthful are those who are mainly using the Internet in their every day business ventures and dealings with others in a business and social environment. But, what about those who are being other than for purposes that are not business at all. There will need to be some changes made on various channels of energy direction. We now must realize that people will begin to be driven on 4 channels of themselves, body, mind, spirit, and electronic persona on the internet. There are actually the subconscious self and the super conscious self in a 3D intelligent being but we have not got that far in the basics of creation to allow our higher selves to be counted in the general mainstream of the critical mass consciousness. But we will in time travel. There will now be a Cyber Space Security that will have to maintain law and order in not only Three Dimensional Reality work and world where we all exist in the reality of real time versus all of the new beings that exist as other beings on the Internet on the Internet Highway in Virtual Reality Time. Time will now change in many ways. This is something that has been considered and been a subject of those who are entrepreneurs in gaming and computer programming for many years. The information, communication, and technology age is still being defined. It is stated that we will still use our 24 hours on earth that our schedules are based upon that include the rising and setting of the sun. We now gauge our lives based on the accepted daily work week in all countries in both eastern and western hemispheres. There may be some small changes but basically all changes will now include education in universities, colleges, and education on line from computers at home or other places wherever an enrolled student may be at the time that one opens a classroom environment for study and lectures on the Internet. There will be courses online now more than ever before. There will now be no reason for a student in Indonesia to not talk to another student in China, Australia, or the United States of America. There will be students who can meet and greet on the Internet with students all over the world. This is happening now through gaming on the Internet on a daily basis. The Internet has opened the world up to many possibilities. Time travel will be a part of life that can be seen in gaming on line with games now that are used to go back into the ancient past or move forward into the future. This is while we all realize that we still have a real world in a three dimensional sense or way of thinking. Time travel will now have to be discussed as a way to discover the past in virtual reality on line on the Internet. It already is with some gaming programs. The virtual reality large gaming corporations have programmers thinking and inventing all the time. Nintendo is coming up with all types of new scenarios as is Microsoft and other large corporations. Time travel will become part of the new way of thinking for children that are born into this world. Those of the last century really had no idea of the impact that computers would have on the world that will become more focused on the future in the twenty-first century. Life is now not just about the past, and the present, but much more so about the focus on the future. Time for many may seem to have speeded up and that is because it has in more ways than one. Time travel will not only be important in gaming on the Internet and to new programmers and software but there will be a new time travel in news and in space. NASA will be desiring more capital to take our words of time travel to heart in space. Our desires to travel in space is going to become a reality more so than those of the past century ever imagined. We are told that governments on this planet have so many inventions to exist in the future already created and kept as secrets from the public that we can not even imagine what the future holds in store. Humanity is actually getting ready to travel in space and in space-time. This will require more forward thinkers to be educated in science and as engineers. We will need new thinkers that can address time travel with both sides of their brain and not just living in the left brain logical work and world that was created in the past by those of the old industrial and mechanical world way of thinking. We now need new thinkers and believers in the imagination and innovative ways of the future. Time travel will be about being able to think outside the box, and outside of the physical reality. This means that the future of earth will have to be able to think what it feels like to time travel outside of one’s own mental and physical body. We are preparing all living beings for the global community future that will consist not only of a three dimensional reality but one that exists forever in virtual reality. The Matrix Web that we are creating in space is one that will become just as the physical reality we now see in space as a web with clusters and super clusters with galaxies that can be seen with our super telescopes. We can see that life in the universe is expanding outward and away from our planet that is held in space by a force that is controlled. Time travel is going to be about breaking out of the forces, controls, and magnetism that is seen in space. We will learn about the elements in space. We will learn about black holes, dark matter, antimatter, and best of all we will learn about wormholes. It will be with wormholes that we learn to travel through time in space. This new term is actually an old term that will be revise and restructured with many deeper meanings while we dig for answers to our questions about life beyond the confines of our own life and plane tin space. Time travel will be something that we will all be able to participate in various levels in the game of life in 3D reality we call life on earth, and other dimensions of life that we may enter into in the World Wide Web on the Internet. Time travel will also become known as a language with different compartments and levels of a language of space-time travel. The internet virtual beings will teach us to think outside of the box and our own minds as one unit. 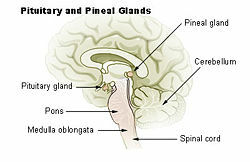 We will learn what other sin time have shared with their kind dealing with the mind and the pineal gland. Oh what a web we we’ve when first we decide to deceive. There is no course but recourse when one is a Time Traveler. For those who are just entering life with a right brain instead of a left brain, there are many parts of life and being that may not make a lot of sense causing confusion. Time Travel is not a joking matter any longer since we can compare this to virtual reality and also wormhole travel which is the next phase of our reality on earth. Time travel will become a part of reality and virtual reality with the introduction in our fun games that children now play using computers, Xbox, Nintendo Wi, the Cube, and future gaming to hold our interest in coming years 2010 and beyond. But, there are also that enjoy being someone other than themselves and make up complete fictional personas as their Internet character and personality. This way of being someone other than one’s own self on the Internet has become a way to grow and expand one’s own consciousness and behavior patterns. There will need to be some changes made on various channels of energy direction. Time travel will also become known as a language with different compartments and levels of a language of space-time travel. There is much needed information to practice what others have been taught on earth in the past by some of the greatest teachers such as Solomon, Jesus, Merlin, and other Metaphysicians. There is much on earth that we are sharing regarding a portal in time to open on December 21, 2012 11:11 universal time. The pole shift may only be 7-15 m and it may not. We know we are to expect a shift change. We are preparing our Light Workers now. Supernatural, paranormal, and metaphysical are words that we can use to describe that which we do not fully understand in our reality. Magnetism and how it works is used in every day life. Metaphysicians of the ACIR have been chosen. TJ MORRIS began the symbol, logo icon at the inception in the last century in 1989-1994 over a 5 year period. This began after the 11:11 series which began between 1943-1983 over a 40 year period. We allowed an open rift in time to occur with the assistance of the extraterrestrials. This wile be a combination of interests as we all will feel a heightened response in our Kundalini of the chakras as they align which does effect our pineal gland on these topics. This is why we have asked other students, lecturers, authors of the Ascension Masters to assist. We are they who have been considered Avatars of the Alchemy Shaman Process. The details of our future engagements will be that our clients, students, customers, graduates of the Ascension Center Enlightenment Classes will be involved in sharing the information. We will need to make sure that the basics of the Ascension Ancient Mystery Schools taught in the 20th Century are understood. These include the ancient mystery schools that were opened in Honolulu, Hawaii and are listed in the first guidebook for teachers of the Metaphysical Institutes in the World Wide Information Network. For those who are not familiar with some of the Ascension Ancient Mystery School Students they are presently listed with Theresa J. Morris, as David Walker, Ian Stone, Dr. Laura Sturgis, Cynthia Chu, and Dr. William Lester. Only those who ACE, TJ MORRIS, tm ACIR, has endorsed to instruct the classes are recognized by Theresa J. Thurmond Morris. The basics of alchemy, shamanism, metaphysics, include the ancient ancestors way of instruction using the pineal gland portion of the brain as it relates to the chakras as the Kundalini rises to become all in one creating the 7 effect of what was once termed in ancient mystery schools as aligning ones spirit to speak with the Gods. Basic Channeling is also taught but the higher self is mainly reported through the subconscious for ones own knowledge and can and should be recorded as one would with a psychic medium. Remote viewers are also aware of the training through military trainings seminars. Remote Viewing is similar and close but not spot on or on target. The planet has magnetism and we would not exist without magnetism. Science has proven magnetism in ways that are now understood and recorded in words and numbers. Prior to what we now call science magnetism was still in existence. The magnetism law of the humankind species has also always been in existence but not readily understood or explained by scientist or clergy. Magnetism is the way to understand how we can open the entire world up to conscious awareness increasing intelligence. Three are terms used in the world by extraterrestrials the ascension sentient intelligent being species. Scientists and Clergy will want to share earthly explanations. The information is prevalent and obvious to many who are educated and have been privileged to study in the schools on earth. There are also libraries that house many of the greatest recorded history on earth. There have been libraries that were thousands of years old that haven been destroyed but some information survived. There are many great teachers and philosophers. Some have passed and left the earth plane existence but energy cannot be destroyed and is essence. There are those on earth that believe the good can remain intact through magnetism as essence and choose to remain essence plasma. The negative essence must also exist and can be repelling. There is a need for both and the universe is created with both positive and negative forces. The law of nature and the law of gravity are accepted as logical and reality on earth. There are people in the ET UFO Community that are realizing that in order to share the future of extra terrestrial enlightenment and illumination in the space renaissance that we will need to share similar goals. There are ways and means to accomplish positive lifestyles preferred as Folk History and Folk Life. This is also in some circles what we now refer to as Anthroponomy, the study of being and how it relates to the environment. There are many who are aware of the awakening of the Age of Revealing. This was promised to many spiritual intellectuals who now consider themselves light workers. The light workers who were chosen prior to coming to earth as essence were given a task of raising conscious awareness of all on earth so that we may use the ascension process with the pineal gland. We have 5 levels of our brain. The 7 are to explain what we can accomplish using our senses in extra sensory perception and time travel. This lecture and seminar outline is copyrighted with the trademark of Ascension Center Education, and service mark of Theresa J. Thurmond Morris, al l rights reserved. These are covered in the ACE Guide, the handbook for Universal Virtual Citizens (UVCs). The following achievement assessment has been prepared for the Light workers who are chosen to be Reverends in the Ascension Center Education Not for profit Organization. All rights are reserved by TJMorris and TJTM tm. There is a guide used in ACE of the Ascension Center Education information that was prepared by the Founder while in Honolulu, Hawaii and Roswell, New Mexico creating the Ascension Center Education anchors and portals. For Earth Metaphysical Science courses to be used at future Ascension Center Education Metaphysical Institutes throughout the global community. By: Theresa J. Thurmond Morris, Ascension Center Founder, 1968. Whatsoever is of good report, think on these things Commitment always finds a way for success, be committed to our cause Magnetism is the power of attracting. Attracting is an irresistible force, a captivating energy. Attract information based on empowerment. An event can be a magnetic force for marketing and promotion of anyone, anyplace, anything, anytime. Albert Einstein To make and atom positive you decrease the negative electrons. Induce magnetism Learn to think in terms of others, wants, needs, and desires. Increase thinkers. There will always be enough. Giving puts one in touch with a mysterious force called the law of attraction. Giving creates a magnetic force. Let go of fear. Fear will pass. Let go and let God. Doubt never accomplished anything. Where you place your attention accomplishes anything When fear arrives in thoughts, use the fear to switch to good. Say “Switch” as a trigger for the mind and practice this technique. Glorious spirit overcomes fear. Fear has to be managed. Be aware and pro-active. Know there are higher forms of power and organizations. Be a Spiritual Educator and Life Trainer. Be awakening of others through involvement which is synergy. Events and results equal outcome. E + R = O If O is not liked change R and do not blame E.
Determine how people feel not think. Shifts do occur. Law of Vacuum. One can not replace a negative without a positive to take the place. LOVE equation is the Law of Vacuum Equality. Imagine reality. Reality will change to match the image and creates Perception Shift. Perception can and will shift if one imagines the reality of it. Benjamin Franklin was also committed to a higher level of consciousness. You too can make a difference in the world through creativity by first imagining the perception and achievement. Improve by rehearsing you brain. Come to learn the synergy effect and meetings of like minds. Visualize and Reinforce goals. Brainstorm separately and together. Opinionated people breed separation. Planets instead of Universes. Single and whole makes a universe. Plan growth, expansion, and investment and income follows. Investment and Income is the result of success. One must demonstrate commitment on self actualization. Self discipline brings order to chaos in all beings and all things. Commit to right choices. No expectations except those desired through choice. Do not expect difficult challenges and meet them head on. Reward for supporters of success is illumination as light overcomes dark. Vision is limited by ones own illumination process.